Homepage » Free Crochet Patterns » [Free Pattern] What A Pretty White Flower Necklace! Three chains with leaves and a white flower! 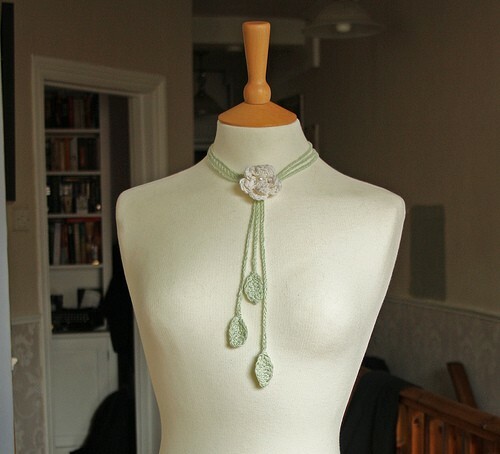 That’s all it takes to make this adorable White Flower Necklace designed by creativeyarn. Fast and easy, perfect way to get rid of leftovers or as a last minute gift. The flower can be easily replaced with a different one if your heart is set on a different pattern. Green Cotton yarn (worsted weight) for the stems and ring. 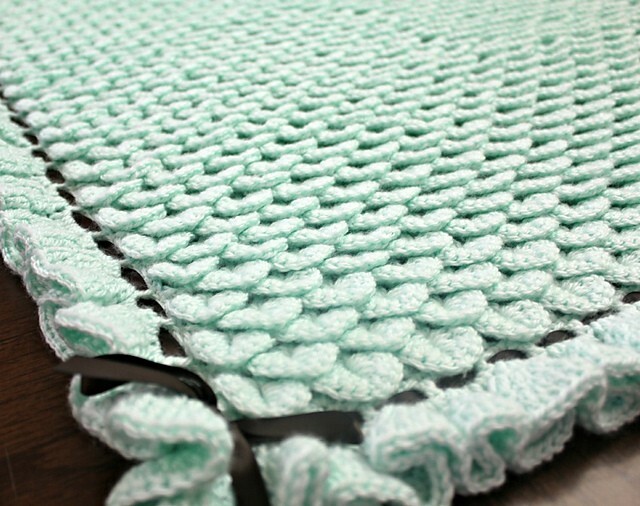 Thanks to creativeyarn for article inspiration and featured image. 2 Comments to [Free Pattern] What A Pretty White Flower Necklace!